I think I’ll keep posting a pic of Sarah for posts on movies. I went to see かぐや姫の物語 yesterday. It’s a really really great movie. Everyone knows about Kaguya Hime’s tale so there’s nothing amazing about the story itself. However it’s told so well though I still cried at the end. I also remembered Pretty Rhythm Rainbow Live a bit as it’s the last version of Kaguya hime’s story I saw. If you’re mad because I just spoiled you that Pretty Rhythm Rainbow Live is actually a variant of Kaguya hime, then you should watch it. Unrelated, but if you still think in 2014 kids shows aren’t worth watching you should definitely check out Pretty Rhythm. Or Remi. 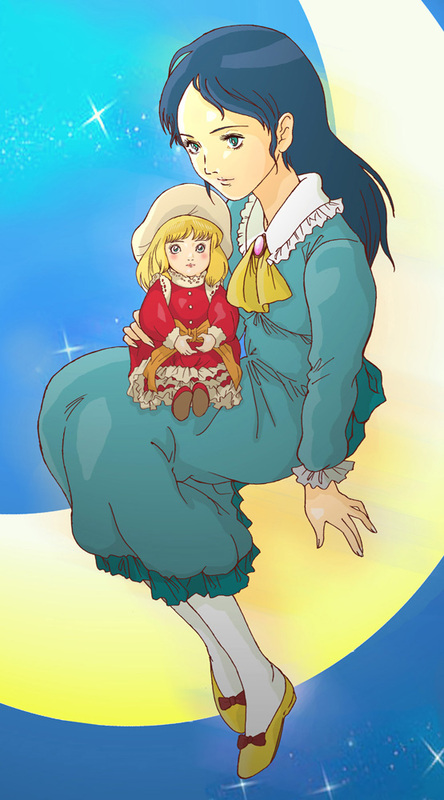 Or Princess Sarah. Or Heidi, I dunno. Speaking of Heidi, the scene in the movie with Kaguya taking off layers of clothes you can see in some trailers (if you actually can’t, well sorry for spoiling it for you) is something that Takahata Isao already did in Heidi. Heard about this on Nolife the other day. They did a three hour long talkshow on the movie and Takahata Isao. I really wish everyone could see it. I haven’t watched it all yet. Maybe I’ll add up a few things to this post when I do. This entry was posted in Kaguya Hime no Monogatari, Opinions on... and tagged かぐや姫の物語, Kaguya Hime, Kaguya hime no Monogatari, Le Conte de la Princesse Kaguya, Nolife, Takahata Isao on July 3, 2014 by rockmanshii.